This year at Hope Lutheran Church, we're doing a study of the book "Connected to Christ: Why Membership Matters." The question might be asked, "Why are we bothering with this study?" It's a valid question, so here are some answers. 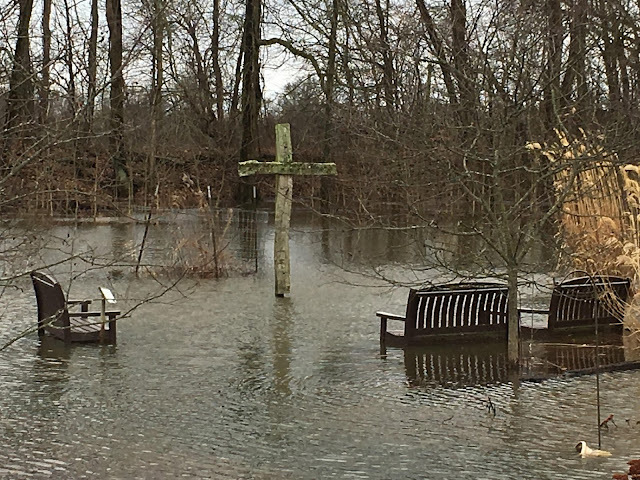 Yesterday, because of the heavy rain we've had recently, the prayer garden behind Hope Lutheran Church was flooded. As some of us looked at the flooding, I couldn't help but be struck by the visual of the cross in the water and how it reminded me of baptism; specifically it reminded me of these verses. I love baseball and I love history, so books that have history and baseball are among my favorites. Below I've categorized several books I've read that fit into the category of history and baseball. Not Recommended Cobb: A Biographyby Al StumpAl Stump was a hack. Actually that's putting things far too kindly. Stump made loads of money by making up stories about Ty Cobb that were entirely untrue, but have been widely shared as if they were fact. Book stores shouldn't even carry this book anymore, but they do. If you want to read about the shady work done in this book, check out this article.